Avicii aka Tim Bergling was an inspiration for thousands of young talents worldwide and a moniker that changed the way we listen to electronic music nowadays and forever. Rest In Peace #Avicii. It’s hard to mourn. It’s even harder when you are about to write a requiem article for the greatest musician of our modern times and creator of a song like “Levels” that so adamantly denies the darkness. “The track I’m personally looking forward to the most is one we haven’t named yet, called “ID” (Levels) by the fans! Really can’t wait to see how people respond to that!“, Avicii aka Tim Bergling told me in a 2011 interview for Eleftheros Typos Newspaper in Greece. Two years later “Levels” earned him a second Grammy nomination, following the one on his work on David Guetta’s “Sunshine”, which were among the proudest moments of his career. However, Avicii‘s favourite production was “Bromance”, as he always believed it granted him all the success that followed. In the same interview I told him that many people described him as the “sound of now”, even though I believed that he was “the sound of the future”. Avicii replied that he was hoping that he would be both, although he was a lot more: An inspiration for thousands of young talents worldwide and a moniker that changed the way we listen to electronic music nowadays and forever. 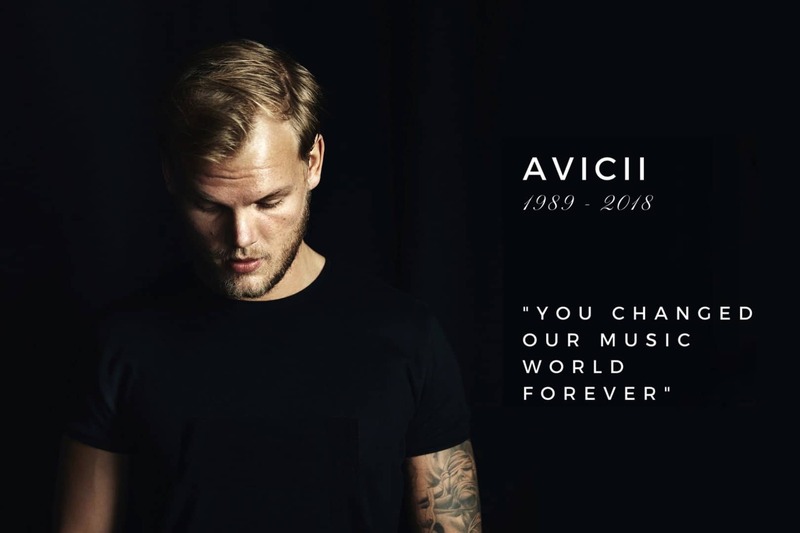 Rest In Peace #Avicii. Panos Mavraganis: How did you decide to become a professional DJ? Which creation-remix is your personal favorite till now? Avicii: I never really decided to to be honest it just kinda happened! I was just playing around with the program I use to create music and got hooked straight away! Then I met my manager Ash and he “sold me” the vision which I now share! My personal favourite would be “Bromance”, just because what its done for me! Panos Mavraganis: In just one short year with Bromance, you managed to do what many DJs work a lifetime. What’s the secret of your success? Avicii: Hmmm, my secret is I would say is a little bit of talent, a lot of hard work, and a manager that knows how to both get the best out of me creatively and what moves to take in this industry. Ash and I have a very unique team and bond and without that I wouldn’t be near where I am today. Panos Mavraganis: Swedish House music can be heard in every nightclub around the world. How does it make you feel that you have played a big part in this (along with WHM of course)? Avicii: It feels great! Don’t know how big a part of this I’ve played though, there’s always been so many Swedish house producers who have helped mould this scene to what It is today. I’m just happy and proud to be a part of it to be honest! Panos Mavraganis: Many people believe that you are the “sound of now”. Personally, I believe you are “the sound of the future”. What should we expect from you in the near future? What’s your opinion on the matter? Can you tell me a remix or an original production that you’re working right now? Avicii: Haha I would hope that I’m both. Oh there’s lots of stuff coming out! The one I’m personally looking forward to the most is a track we haven’t named yet, called “ID” (Levels) by the fans! Really can’t wait to see how people respond to that! Panos Mavraganis: In your personal opinion as a new producer and a DJ, who is the most promising artist (DJ or producer) right now? Which artists, producers or vocalists would you like to work with in the future? Avicii: I would say the most promoting DJ right now is Afrojack. I mean he’s just taken the world by storm the last year and I have no doubt he will continue to do so in the future. There’s so many I would like to collaborate with, I would say my dream vocalists at the moment would be Adele, Chris Martin and Ellie Goulding. All of them have such a unique sound that would fit house music perfectly! Panos Mavraganis: Have you ever heard any Greek House Producers or DJs? If no, would you like to work sometime with one of them or re-mix any of their productions? Avicii: I have to answer this honestly and say that I haven’t, I’m very bad with knowing producers and djs in this scene though I always have been. The stuff sounds great but my manager has a plan for our remixing and collaborating, thats why we’ve slowed down so much, and Im not sure I could make the time for it! Panos Mavraganis: I read that the piano is your favourite musical instrument and that it plays a big role in your creative process. Would you care to tell our readers about how you create music or what inspires you? Avicii: Well I just basically always start with the melody, and then try to build the track around that. There’s so many things that inspire me, the people around me like my family or manager, other tracks that I’ve heard, or just simply a feeling or sounds I hear around me. Panos Mavraganis: Do you have any plans to visit Greece during 2011, for a live performance maybe? Avicii: I don’t know yet! Haha my manager and agents always handles that stuff and I never hear anything about where I’m going until a couple weeks before! But I do hope so!